Can anyone tell me why we, as Americans, hold these events called elections every couple of years? Now I know that some of y’all are probably going to say something like, “So that we can choose from a field of candidates the most qualified and deserving one to hold political office.” While that isn’t altogether incorrect, it isn’t quite the answer I was hoping for. Maybe if I rephrase the question it might help, “Why are we, as Americans, the ones who get to choose who will fill the various seats of power within our government?” There, does that make it clearer the kind of answer I was looking for? Why doesn’t government hold interviews and job searches the way other companies do, with candidates sending in their resumes and then being interviewed to find the most capable employee? Why don’t we just let the companies of the Fortune 500 pick which candidate gets chosen to fill a seat in Congress; especially considering that Congress often seems to care more for protecting their interests than it does in defending our liberty? Why is it that we, the American people, are the ones who go to the polls and make the decision as to who wins an election? I’ll give you a second while you ponder that and formulate your answer. How many of you are familiar with the term, consent of the governed? If you aren’t, you should be, for it forms the entire basis upon which our government derives any authority. I could try and explain consent of the governed, but I’d probably make it so convoluted that you wouldn’t understand it; so instead I’ll just quote Thomas Paine on the matter and be done with it. In his book The Rights of Man, Paine explains consent of the governed as follows, “It has been thought a considerable advance towards establishing the principles of Freedom to say that Government is a compact between those who govern and those who are governed; but this cannot be true, because it is putting the effect before the cause; for as man must have existed before governments existed, there necessarily was a time when governments did not exist, and consequently there could originally exist no governors to form such a compact with. To understand the relationship between men and their government one must understand the meaning of the word sovereignty; and not just the dictionary’s definition of the word – you must know it in your bones. Sovereignty is the supreme, or absolute, political power in a society; the source from which all political power flows. Now there’s something in that decision that you may have skipped over, so let me expound upon it a bit more. You see, the Court held that we are sovereigns without subjects; with none to govern but ourselves. 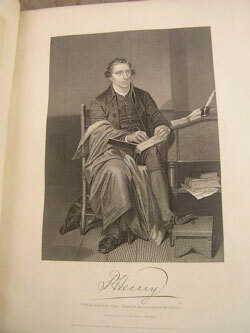 I, as a sovereign, cannot impose my will upon you or deprive you of your life, your property or your liberty. The reverse is equally true; you cannot impose your will upon me to deprive me of my life, property, or liberty. Another way of saying that is to say that we are all Kings and Queens unto ourselves, with only ourselves to rule. Before I go any further I must discuss something political theorists call a State of Nature. A State of Nature is the condition man would find himself in when there was no political or civil societies. A State of Nature is mostly hypothetical, as man has always joined together in tribes, or societies, for their mutual benefit and protection. Yet were a man to find himself isolated from others in a remote section of the world, he would be in a perfect State of Nature; with his own freewill being the only limits placed upon his actions. In such a state man would be free to make his own decisions as to what he wanted to do with his life and his property; there being no one else to interfere with him. Man would also, should the need arise defend his life, his property, and his liberty as he saw fit and to the best of his ability. When one mentions self-defense, or more specifically, self-preservation, most assume they are talking about defending oneself against attack – but it is much more than that. Self-preservation is a natural right, meaning one that cannot be revoked or repealed by manmade laws; and it includes our right to defend not only our lives, but our property and our liberty. This principle lies at the root of the American Revolution. Our Founders understood that it was their right to defend their lives, their property, and their liberty against all attacks; even when they were being attacked by their own government. The Founders believed that government should exist to secure those rights to those whom it governed, and that any law enacted by that government without their consent was all the justification they needed to resist the authority of government, and the validity of the law itself. That is why Jefferson said that, “Law is often but the tyrants will, and always so when it violates the right of an individual.” It is also why Jefferson included the following wording in the Declaration of Independence, “That to secure these rights, Governments are instituted among Men, deriving their just powers from the consent of the governed…” In that simple sentence Jefferson explains both the purpose for which government should exist, and the source of all its authority. It is a given that government should be endowed with the power of making laws that society must abide by. The question arises when one asks for what purpose those laws are enacted. Are laws being enacted which better secure our liberty and protect our property, or are they being written to do the exact opposite? What exactly is law anyways? Is it the will of the majority? Is it the will of those we have given the authority to act in our stead? If ten people walked up to you and told you to jump off a cliff, would you do it? Why not; they form a majority, and if majority will is all that is required for something to be considered law, then wouldn’t you be violating the law if you refused to jump off a cliff? Law, therefore must serve a purpose and that purpose can either be to defend and enlarge liberty, or it can be to restrict and limit liberty. In one instance the government enacting the law is just, in the other it is tyrannical and oppressive. The only grey area is the extent to which the law restricts liberty; not the fact that the law itself is tyrannical and oppressive. 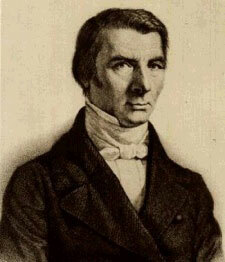 In 1850 a Frenchman by the name of Frederic Bastiat wrote an entire book dedicated to, and titled, The Law. In his book Bastiat states, “What, then, is law? It is the collective organization of the individual right to lawful defense. I don’t care if you have to read that a thousand times, read it until it sinks into your consciousness and you become completely familiar with what it says. If we truly are sovereigns, and each of us is endowed with the right of defending our life, our property, and our liberty, then government, acting as a substitute, or surrogate, can only enact laws that serve the same purpose; and when it doesn’t, that government becomes unjust – tyrannical. Again, read that as many times as required for it to sink in; for Bastiat declares that not only is the law perverted, the policing power of any agency who enforces the law is being perverted when the laws being enforced violate the lives, property or liberty of the people. It doesn’t matter if the policing agency is a federally funded and operated agency such as the DEA, or if it is the local constable or sheriff in some two horse town in the middle of nowhere; if the law itself violates or infringes upon the lives, property or liberty of the people, then the law is unjust and the enforcing agent is a tyrant. Therefore, if government is supposed to be instituted to secure our rights, then that should be the purpose for which our constitution was written. Yet those who wrote it originally did not include any kind of restrictions upon the government’s authority to limit or restrict those rights. It only did so when those who wrote it feared that it might not be ratified by a sufficient number of States if a Bill of Rights was not added to it. If we were in a State of Nature, you could not violate my rights, nor could I violate yours; not without it being justification for either of us to defend our rights – up to and including the use of deadly force. It does not matter one whit that the aggressor in this state of war is an individual, or a government acting on behalf of a majority of the people in a country; if that government threatens the lives, property, and liberty of even a single individual, then that government is the aggressor and any freedom loving person would be justified in defending their rights as they best see fit. But you see, we aren’t taught these things in school because the schools are run by the government. Of course the government is not going to teach you things that could lead to you overthrowing them, or diminishing their power to control and regulate your life. It is the same reason that judges do not inform jurors of their right of jury nullification; the judges want to be the sole determining factor in expounding the law; they don’t want the jurors to question the legality of the law itself. 1) we are the sovereigns in this country; regardless of whether or not we realize and accept that sovereignty. 2) We, (at least our ancestors) created this form of government that we have today. 3) This government we have came into power only after the people deliberated on both its merits and its flaws and chose to adopt the system outlined by the constitution. 4) As both the creators and those from whom all political power emanates, it is within our power to abolish this system of government if we the people feel it no longer serves its intended purpose. 5) Government will, and has used force in the past to ensure its survival; to the detriment of those for whom government was instituted to serve. We call this country the land of the free and the home of the brave, and while it is true we may enjoy more freedom than do those living in other countries, that isn’t the point. The point is that we enjoy LESS liberty than did our parents, our grandparents, and those who established our system of government way back in 1789. With each succeeding election our government assumes more power to regulate, control and tax us. Instead of placing the defense of your rights at the top of your list of priorities, the American people generally vote for candidates whose campaign platform most closely aligns with their personal thoughts regarding what government should be doing. The problem is that these voters aren’t basing their opinions upon what those who ratified the constitution were promised the government would do if the adopted it. Like it or not, the constitution became the law when it was ratified in 1789. But that law is not to be interpreted by Congress, the Supreme Court, or the opinions of the average voter. That law is to be interpreted solely based upon what those who adopted it were told it said; and that means if you want to understand what powers your government was supposed to be exercising then you need to delve into the ratification debates to see what promises were made to them by those who pushed for the ratification of the constitution. You won’t find this information in textbooks, and you certainly won’t hear it from the lips of those who pervert and abuse the law for their own aggrandizement. Our Founding Fathers realized that government often does become tyrannical and oppressive, and that it was the right of the people to stand up to and resist government should it become that way. That was the entire basis for the Revolution, and that hasn’t changed one whit since then. Both Thomas Paine and Thomas Jefferson said that it was our right and our duty to defend our country against its government. Is that what you’re doing when you vote, or are you perpetuating the infringement upon your sacred rights by choosing the lesser of two evils, or candidates who care nothing about limiting themselves to the few specific powers found within Article 1, Section 8 of the constitution? But, if you recall my discussion on sovereignty, each of us is sovereign and free to live our lives without anyone else interfering in them or limiting our rights. Government, being instituted to secure our rights, cannot be used to violate the rights of those you disagree with; at least not without it becoming unjust or tyrannical. I don’t care how you want to live your life, or what you want government to do for you. Just don’t expect me to fund, or adopt your political beliefs and philosophies as my own. If you want to live a gay lifestyle, fine, live a gay lifestyle. Just don’t ask me to condone or fund it. 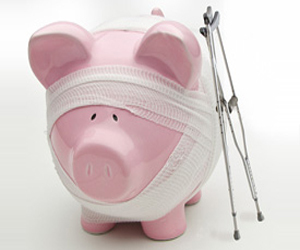 If you want to provide aid to those in need, fine, donate to a charitable organization that provides for the needy; just don’t tax me to do so. See where I’m going with this? Freedom means that each of us have no restrictions placed upon what we can and cannot do; just so long as we don’t prohibit others from enjoying the same right. But unfortunately for the agendas of both the Republicans and the Democrats to work it means that the rights of some individuals, the property of some individuals, must be taken from them for government to do what the people want it to do for them. What this means is that regardless of which party is in control of our government, one segment of society is enslaved to government to benefit another segment of society; be it through the deprivation of our rights, or by the burdensome taxation levied upon us to fund government. And the critical point in all this is that the constitution has proven to be ineffective at restraining government; to keeping it within the confines of the few specific powers the ratifying conventions were promised it would exercise. Had they been able to glimpse into the future and see how this government would turn out, there is no way in hell they would have agreed to adopt the constitution…NO WAY!!! And, as the sovereigns of this country, isn’t it high time we accepted the fact that the constitution has been an utter failure – unless you also want to admit that the true purpose of the constitution was not to create a limited government; rather it was adopted to create a government would become the engine by which tyranny and oppression would come to America. Can you say the same? Can you say that you will listen to opinions that differ from yours and give them equal weight when forming your opinions on a matter of the greatest importance – freedom or slavery? Each and every one of us is entitled to our own opinions, but if we have any integrity at all those opinions should be based upon and formed by a careful examination of fact. Therefore, as far as I’m concerned, your opinion only carries any weight when it can be supported by incontrovertible evidence backing it up; otherwise it is just something you pulled out thin air, or was programmed into you by the schools or network news. It is also why I don’t care what you think, unless you can provide enough evidence to contradict everything I’ve just shared with you. You’re entitled to your own opinion, that’s a fact; but you are not entitled to imposing your opinion and beliefs upon me. 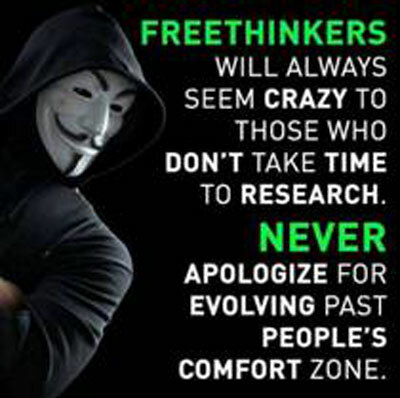 I am a free thinker; I go where the facts take me – unlike most of y’all who are being led around by the nose by the lies you have been taught, and continue to be spoon fed by those who seek to keep you in a perpetual state of ignorance and servitude. 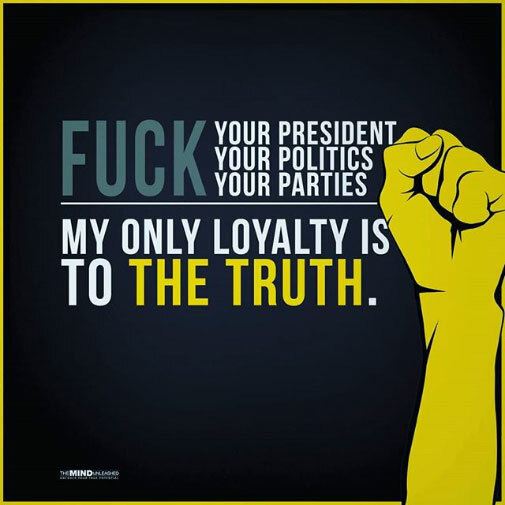 What you do with your life, who you vote for, or even the question of whether or not you like me is entirely up to you to decide; I really don’t care either way. I will keep on sharing the truth as I learn it, and hope that somewhere out there I find a receptive mind who will then take it upon them self to search for further truths on their own; without having to be spoon fed them by writers like me. If I can accomplish that one thing, then all will not have been in vain; and that’s all I ask for when I sit down and write these missives. 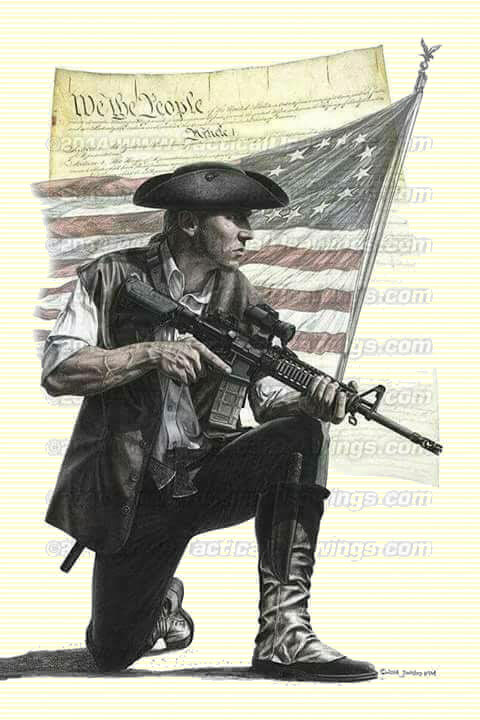 Neal Ross, Student of history, politics, patriot and staunch supporter of the 2nd Amendment. Send all comments to: [email protected]. If you liked Neal’s latest column, maybe you’ll like his latest booklet: The Civil War: (The Truth You Have Not Been Told) AND don’t forget to pick up your copy of ROSS: Unmasked – An Angry American Speaks Out – and stay tuned – Neal has a new, greatly expanded book coming soon dealing with the harsh truths about the so-called American Civil War of 1861-1865. 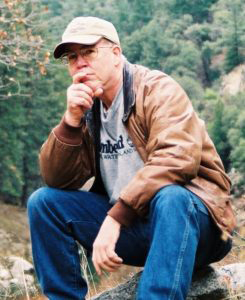 Life continues to expand for this prolific writer and guardian of TRUE American history.